Adaaran Select Hudhuranfushi is blessed with thriving vegetation and pristine waters, the Island of White Gold finds itself in peaceful seclusion in the North Male Atoll. 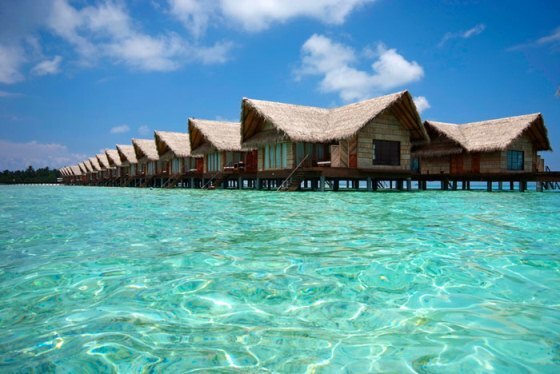 Hudhuranfushi is set in 83 acres of surprisingly lush tropical beach property near Kani Beach on Lhohifushi Island. The resort’s design enables it to snuggle into its surroundings reinforcing the impression of a quiet village whose shores are lapped by the azure waters of the Indian Ocean, a haven of tranquillity. Hudhuranfushi is a simple 3-Star plus island perfect for watersports lovers. This is not a luxury resort and should not be sold to you as one. Most people think it is excellent anyway. It is in ok shape (salty air takes its toll on things quickly on the equator!) so when it gets refurbished be prepared for a price increase. For now it is generally a great bargain and if you are not looking for luxury it is a great choice too. 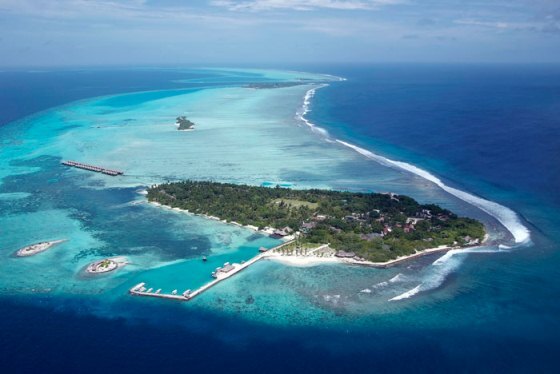 Hudhuranfushi is located along the outside of the North Male Atoll is about 25 minutes by speedboat. 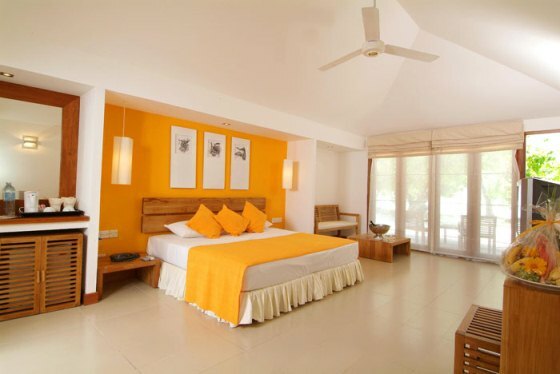 Hudhuranfushi has 137 air conditioned and well appointed Garden, Beach and Ocean villas with wonderful views. 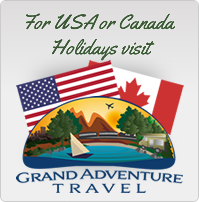 Each has a minibar, satellite TV, telephone, & tea/coffee facilities. 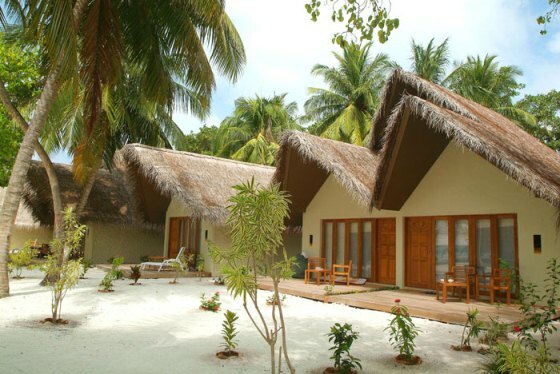 Beach Villas are located along the outline of the atoll with prime beach frontage. They offer convenient access to the beckoning sea. and are within easy reach of the hotel facilities. 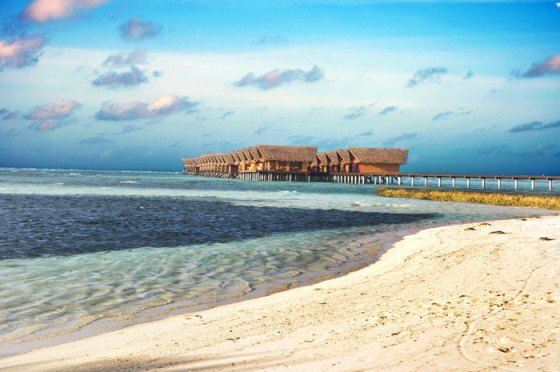 Prestige Ocean Villas – Walk along a dark wooden causeway into the enticing waters upon which you find the thatch roofed Ocean Villas. 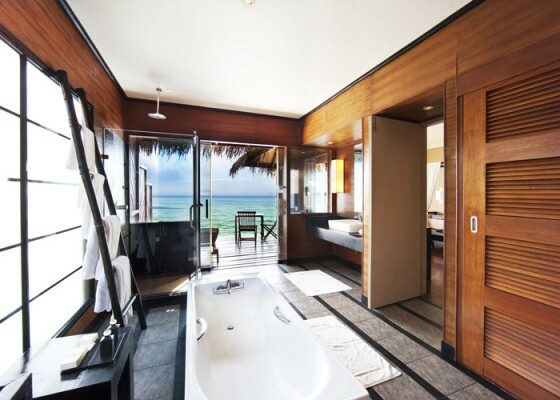 Each Ocean Villa features wooden exteriors with modernist interiors, each retreat is complimented by bright colours and contemporary design. 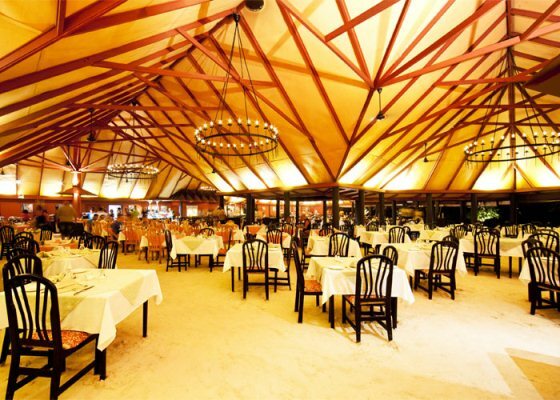 Banyan Restaurant (Main Restaurant) – Serving scintillating buffet style meals with a wide variety of food ranging from traditional Maldivian to western cuisines to accommodate the palate of the global traveller. 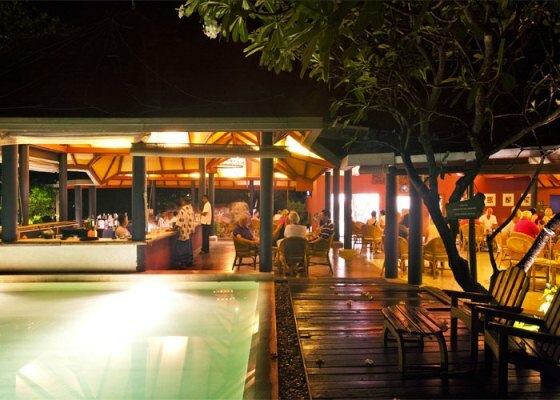 Hiyala Bar – where the fresh breeze keeps the mood on a high note. Enjoy the healing touch of the tropical sun while you relax and soak in the pleasant atmosphere. Taste the enticing flavours of our rich beverage list and fall in love with the captivating surroundings of the island. Have a spicy snack while you sip on a glass of red wine or a tongue tingling cocktail. Let the gentle breeze heighten your senses and elevate you to cap off a memorable evening. Sunset Restaurant (A la carte Restaurant) – perched on a deck overlooking the island’s scenic harbour the Sunset Restaurant offers an exceptional fine dining experience featuring an impressive a la carte menu studded with world class delicacies and views of stunning sunsets and the changing phases of the ocean.